Get ahead of the game this year. We sent our team on a mission to find the best art opportunities, artist grants, and calls-for-entry for you in 2019. From that, we present you a list of the top international open calls, residencies, fellowships, and awards that we believe will benefit artists during the upcoming year! The complete list is broken down into four categories: grants, residencies, calls-for-entry, and opportunity sites. Applying for artist grants is a great way for artists to supplement their income to ease the financial burden that often comes as part of being a working artist. These grants listed help artists pay for materials, studio space, or even their rent, allowing artists the time to make work without the day-to-day pressure of paying bills—giving them the freedom to make work in an unrestricted manner and dedicate their time to being fully creative. If you are seeking time away from your routine and obligations to create work in a new environment with new influences, a residency might be more your speed. Residencies vary in their offerings and funding, so make sure to check the fine print section of each listing. Finally, take a look at some of our favorite opportunity sites to search, and learn how to make sure your portfolio and professional documents are ready to apply. We will be updating this list throughout the year, so make sure to bookmark the page, check back often and let us know if there is an opportunity that should be listed! 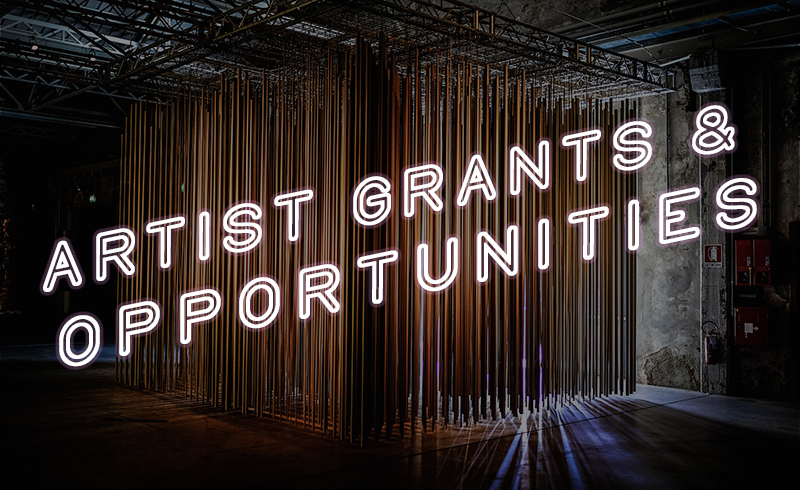 DEADLINE: The 2019 grant cycle will open in February 2019 with a deadline in April 2019.
WHO: U.S. visual artists who work in the program city (or its eligible counties) and who have resided there for at least two years. WHO: Visual artists from the U.S. and Canada. DEADLINE: Applications for 2019 grants were due by September 17, 2018. Stay tuned for the 2020 grant cycle open later this year. FIELD: Work must be based on the idea of still-based photography, but can include digital imagery, installations, documentary projects, and photo-generated print media. FINE PRINT: Varied amounts of grants gifted up to $10,000. Students not Eligible. Doctoral candidates considered on a case-by-case basis. Check out the FAQ here. The Provincetown Art Association and Museum (PAAM) is a nationally recognized, year-round cultural institution that fuses the creative energy of America’s oldest active art colony with the natural beauty of outer Cape Cod that has inspired artists for generations. Today, PAAM continues to offer an ever-changing line-up of world-class exhibitions, lectures, workshops, and cultural events. FINE PRINT: Full grant information and the online application is available at www.paam.org/grant. Integrity: Arts & Culture (IACA) sponsors mini-grants for artists focusing on creative endeavors, believing the arts are essential to the health and vitality of our communities and our nation. Grants are intended to assist with such things as art supplies, recording studio time, exhibits, performances, project-related expenses, etc. FINE PRINT: Within 30 days of the close of the project, IACA requires 1-2 paragraphs describing how their support benefited you. Learn more here. Founded in 2017, Artist Grant is a new venture that aims to support and fund artists. To that end, this charitable organization funds the efforts of artists to continue their important work and contributions to society, providing a modest competitive grant of $500 to one artist every quarter. FIELD: Painting, drawing, printmaking, photography, stills of video/film, sculpture (of any type of material), ceramics, mixed/multiple media, installation, and other new or alternative media. DEADLINE: There are four grant cycle deadlines per year – January 15, April 15, July 15, and October 15. FINE PRINT: There is an application fee of $25 USD that helps defray the costs of administering this grant so that they may continue to support and fund artists' important work. You can learn more here. The LEAP award provides a $1000 grant to one grantee for an early career artist in the contemporary craft field. The gift is intended to be used towards a new product line or body of work. The Society for Contemporary Craft will commit to promoting the work for the duration of one year along with providing special features on six finalists. FINE PRINT: One artist chosen for a cash prize; six chosen for auxiliary benefits. $25 application fee. Learn more here. The Joan Mitchell Foundation provides emergency support to U.S.-based visual artists who have suffered significant losses after natural or man-made disasters that have affected their community on a broad scale. The Foundation has historically granted funding to assist in the repair of homes and studios following flooding and material destruction, to replace art materials such as brushes, paints, inks, other materials such as hand or power tools and computers, and to assist in rent for a temporary studio space in which to work while cleaning up after a disaster. AMOUNT: TBD based on need. DEADLINE: Applications are accepted throughout the year, starting January 1, 2019. FINE PRINT: Unfortunately, the Joan Mitchell Foundation cannot grant funds towards the retail value of any lost or damaged artwork. Applicants will receive a response within 1-2 months. Check out their FAQs here. DEADLINE: Requests for application packets must be received by December 15, 2018. Completed or returned applications must be postmarked by December 30th. FINE PRINT: Your application must be “hard copy.” Check out the FAQs here. The Sustainable Arts Foundation's goal is to encourage parents to continue pursuing their creative passion, and to rekindle it in those who may have let it slide. The foundation offers unrestricted cash awards and residency grants to artists and writers with families -- specifically, at least one child under the age of 18. FINE PRINT: Application fee is $20. 100 percent of this fee goes to the jurors, who are all parent artists and writers themselves. Charging this fee ensures that at least two jurors will review each application and be compensated for their work. Learn more here. FINE PRINT: Besides funding, you’ll have access to consultations with legal, financial, marketing, public relations, and web consultants; artist retreats and regional gatherings; ten meetings with a strategic planning coach; and more. Letter of Inquiry must be submitted. You can learn more here. NYSCA/NYFA Artist Fellowships, awarded in fifteen different disciplines over a three-year period, are $7,000 cash awards made to individual originating artists living and working in the state of New York for unrestricted use. These fellowships are not project grants but are intended to fund an artist’s vision or voice, regardless of the level of his or her artistic development. FINE PRINT: Applications for the 2019-20 award cycle will open in Fall 2019. The following categories will be reviewed: Craft/Sculpture, Digital/Electronic Arts, Nonfiction Literature, Poetry, and Printmaking/Drawing/Book Arts. Learn more here. Created in 1993 to further FCA's mission to encourage, sponsor, and promote work of a contemporary, experimental nature, Emergency Grants provide urgent funding for visual and performing artists who: Have sudden, unanticipated opportunities to present their work to the public when there is insufficient time to seek other sources of funding, or incur unexpected or unbudgeted expenses for projects close to completion with committed exhibition or performance dates. AMOUNT: Grants range in amount from $500 to $2,500, and the average grant is $1,500. FINE PRINT: Each month FCA receives an average of 80 Emergency Grant applications and makes approximately 12-15 grants. Artists should review all eligibility guidelines and FAQs before applying. Learn more here. Two prizes are offered to honor innovative projects at the intersection of science, technology and the arts: one for artistic exploration, and thus projects with the potential to influence or change the way technology is deployed, developed or perceived, and one for innovative collaboration between industry/technology and art/culture in ways that open up new paths for innovation. FINE PRINT: Winners of the STARTS Prize must make a commitment to accept their awards in person at the award ceremony and to present their works at the STARTS Prize Forum, an artists’ symposium in Linz, Austria. Learn more here. ChaNorth is a New York State artist residency aimed at providing a nourishing, focused environment for emerging and established artists as they continue their committed practices. DATES: The summer season runs from May through the end of October, offered in 6 four-week sessions. Check here for exact session dates. FINE PRINT: ChaNorth is a self-directed residency offering space, time, and inspiration to make new work. The cost of a four-week session is $950. Residency fee includes a private room, private studio, fully stocked kitchen. The fee does not include transportation costs to and from chaNorth, and artists' materials cost. Learn more here. The National Park Arts Foundation started their Artist-in-Residence program in 2006 to provide opportunities to artists to live and work in National parks to create a body of work. Programs are specifically tailored to the artist’s project and the selected park. Residencies are one month and can accommodate artists from multiple disciplines such as sculpture, ceramics, dance, theatre, textiles, writers, new media, printmaking, and film. FIELD: Sculpture, ceramics, dance, theatre, performing arts, music, literature, new media, animation, printmaking, film-making, ethnographic art. DEADLINE: Application deadlines vary. Check here for details. FINE PRINT: $2000 stipend offered to accepted artists. Application fee required. Learn more about each residency here. Skowhegan promotes engagement with peers and a focus on process and experimentation. Although the residency has become most widely recognized for its focus on painting, they accept artists working in a variety of mediums. The program gives artists complete freedom during their residency, but also provides resources and weekly lectures for guidance and feedback. WHO: Visual artists. You must be at least 21 years of age at the start of the program and have a working knowledge of English. FINE PRINT: Tuition for Skowhegan’s nine-week program is $6,000, but 95% of each class receives financial aid or scholarships. Learn more here. The School of Visual Art and Design at the University of South Carolina invites visual artists to submit applications for the spring session of the 2019 Artist Residency Program which is intended to address themes of environment and ecology. FINE PRINT: The selected artist will be awarded a $1,500 honorarium. SVAD is unable to pay for travel or housing for the resident at this time. The artist should propose an artwork that may qualify as public art and an activity to engage with the community at the School of Visual Art and Design. Learn more here. An American nonprofit with a program in Italy, the Bogliasco Foundation awards one-month residential Fellowships to gifted artists and scholars of all ages and nationalities. During their month-long stay at the Center, Bogliasco Fellows are provided with living quarters, full board, and a separate private studio. DEADLINE: January 15, 2019 for residencies during the subsequent fall semester, and April 15, 2019 for residences during the subsequent spring semester. FINE PRINT: To be eligible for a Fellowship, applicants should demonstrate significant achievement in their disciplines, commensurate with their age and experience. Although there is no cost for a residency, Fellows are responsible for their own travel to and from the Study Center. Learn more here. The MacDowell Colony, founded by composer Edward MacDowell, was originally meant for musicians in need of a creative retreat. Now, the colony has become one of the most recognized visual arts and writing residencies. The location offers a cultural experience surrounding by breathtaking scenery. DATES: June 1–September 30, 2019, for the Visual Arts Residency. Check here for other disciplines. FINE PRINT: About 300 artists in seven disciplines are awarded fellowships each year and the sole criterion for acceptance is artistic excellence. There are no residency fees. Travel grants, as well as need-based stipends, are available to open the residency experience to the broadest possible community of artists. Learn more here. At once a haven for nature-lovers and artists alike, the Bernheim Arboretum and Research Center is founded on the mission of “strengthening the bond between people and nature by finding new ways to connect nature with people’s lives.” Situated within a 14,000-acre property with over 8,000 species of plants and 40 miles of hiking trails, this larger-than-Manhattan preserve welcomes artists from all backgrounds for one to three months for artistic exploration. FIELD: All mediums encouraged to apply: sculpture, installation, performing arts, painting, sound, video, textile, new media, animation. DATES: Selected artists work with Bernheim in arranging residency dates based on their desired time and availability within an April – December 2019 timeframe. FINE PRINT: Minimum duration is 4 weeks for regional artists and 6 weeks to 3 months for non-regional artists. Residents get a fully equipped cabin, with a log-burning stove (and AC and heat), in a stunning wooded setting. Travel, supplies, and food paid by for artist. Housing covered. $2,500.00 grant available. Learn more here. FINE PRINT: Application, accommodation in a private bedroom in a historic house with a fully-equipped communal kitchen, and studio space in a 9th-century abbey are free. Residents are responsible for transportation to and from the residency, most supplies, and most meals. Learn more here. The Neon Museum National Artist Residency (AIR) is designed to expand the interpretive potential of the collection while providing artists the opportunity to create new work in an unconventional setting. Each residency is accompanied by programming to engage the community and museum visitors, providing exposure to new artists and a fresh perspective on the collection. FINE PRINT: The artist will be paid a stipend of a total of $3,000, plus a modest budget for materials if required. The selected artist will also be provided an $800 travel allowance. Studio space and separate lodging with kitchen facilities are provided free of charge for eight weeks. Learn more here. C.R.E.T.A. Rome offers self-funded residencies to international ceramicists, visual artists, and writers for periods of 4 or 5 weeks. The residency includes a semi-private equipped studio, housing in the historical center of Rome, and technical assistance in procuring materials for your work, firings, etc., advice on museums, galleries and sites in Rome and beyond. FINE PRINT: Accommodation are a 1-bedroom house with a garden and a private studio. Spouses/companions and/or children are also welcome for a supplemental fee. Each resident will have an opportunity to exhibit the work produced during the residency period in a final group show. Learn more here. The Offshore Residency offers an extensive one-week program where artists live, work, and travel together aboard a sailboat. Each Offshore journey navigates to a specific, historic region, where participants engage with local communities through special exhibitions, projects, talks, screenings and events coordinated by the program. Through these relationships, artists will have the opportunity to reflect upon their work and its objectives outside of marketplace demands and experience the rigors and rewards of sailing under the guidance of experienced captains. WHO: Artists from all geographic locations, ages, ethnicities, and identities are welcome and encouraged to apply. LOCATION: Offshore's Summer 2019 program will take place off the northern coast of Sardinia and the southern coast of Corsica. FINE PRINT: The program session will run for 8 days. You can find a sample itinerary on their website for an idea of what to expect. Applicants must have a working knowledge of English. Accepted residents will be required to pay a fee of $525 to participate in the program. Learn more here. 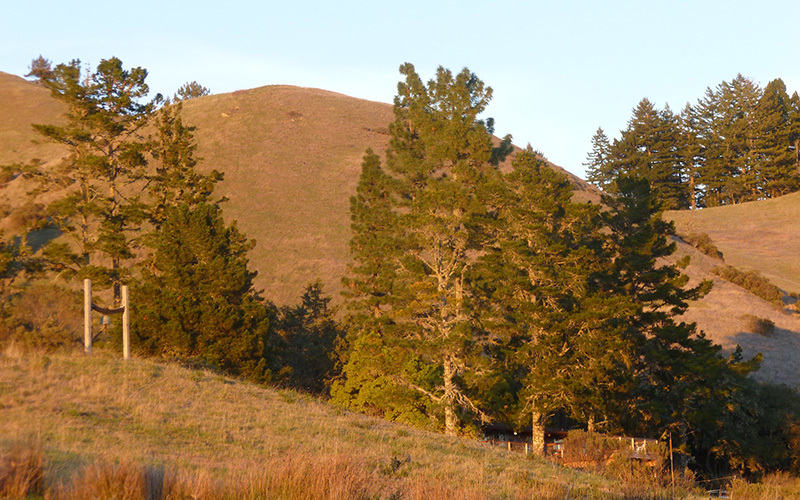 The Djerassi Resident Artists Program is situated in the Santa Cruz Mountains, one hour south of San Francisco. The program offers gorgeous architecture, the time and space to interact with peers, and critical dialogue for growing your own individual practice, in a pristine landscape. Best of all, the program is offered at no cost to artists, should you be accepted. FINE PRINT: There are six residency sessions each year: five that are four weeks long and one that includes Open House/Open Studios is five weeks long. Travel and supplies paid by the artist. Food and lodging paid by the organization. Learn more here. The Ox-Bow’s Fall Residency is designed for artists and writers at many different points in their careers. This residency is an incredible opportunity for emerging artists looking to launch their career with the help of dedicated time, access to resources and mentorship. The fall residency offers a wider variety of studios that can be used for artists of different mediums to collaborate. FINE PRINT: Stipends available for travel and supplies. Room and board covered by Ox-Bow. The fall residency is open to all artists not currently enrolled in a degree-seeking program. Learn more here. As part of its ongoing mission, Annex:art works with international artists to coordinate self-funded and sponsored artist residency, as well as interim studio programs. These programs are designed to enable the artist an opportunity to complete a project or specific body of work in one of our participating annex locations. LOCATION: At present, the program is available at the Annex:art facilities in Havelland, Germany; San Fidel, New Mexico; and the picturesque Ardèche region of south-central France. DEADLINE: Rolling deadline. Apply on their website. FINE PRINT: The program seeks applications from artists who have a specific purpose or project to be completed during the residency. 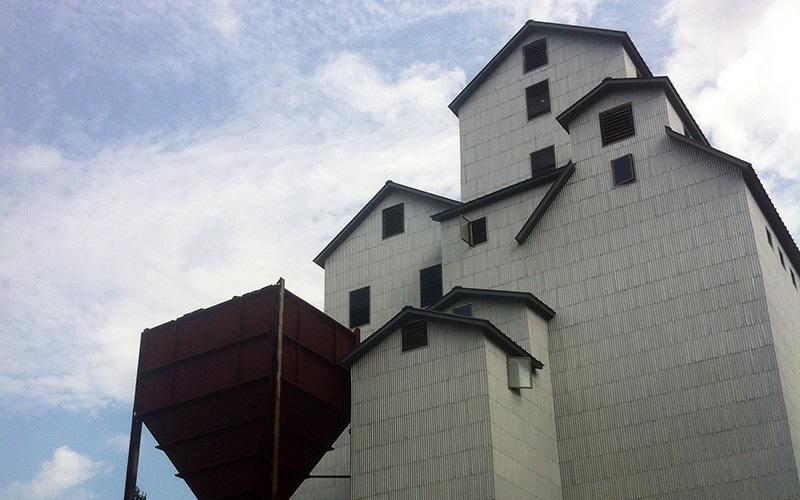 The Wassaic Project is a multi-disciplinary arts organization supporting artists, performers, and writers. Artists create a body of work and participate in conversations, open-studios, and artist talks. To top it off, they also have a visiting curators and artists series in addition to your housing and studio space. WHO: Emerging and professional contemporary artists, writers and creatives. FIELD: Visual arts, writing, etc. FINE PRINT: While there is a resident fee of $900/month, there are fellowships available and ample access to fully decked out facilities including a woodshop, silk screening studio, and tons of exhibition opportunities. Travel and supplies paid by the artist. Learn more here. Art Quarter Budapest offers varied services to integrate their residents into the local art scene and assist in establishing professional connections that best support their work and career. AQB personnel provide assistance through the program, catering to practical needs related to life in Budapest, to obtaining the necessary materials, equipment and more. All entering participants are offered a fully furnished room within a communal apartment located on the AQB premises, as well as a studio space catering to the project’s requirements. FINE PRINT: The fee for participating in the AQB Artist-in-Residence Program is EUR 850 per month. This fee serves as an important contribution to the maintenance and operation of the institution. Learn more here. A one-year residency that includes studio space, a culminating solo exhibition of work created during the year, a monthly work exchange at Artspace, and the opportunity to get involved in public programs. FINE PRINT: First round interviews will be conducted in January 2019, in person or via Skype. Learn more here. Residency 108 invites artists, writers, and thinkers to immerse themselves in their creative practice. They particularly welcome those who work with nature, ecology and the installation of temporary outdoor land-art works. The program accommodates three artists at a time. Each resident will be asked to present their work during the residency and weekly critiques are held as a group, sometimes with a visiting critic. FINE PRINT: The residency is free apart from the cost of travel and material expenses which must be assumed by the individual. Each resident is provided with a room, working facilities and a weekly stipend for food, participants are responsible for cooking their own meals. Learn more here. Back to Basics residency program gives artists the opportunity to clear their mind, get back to focus and (re)discover the very basis of their creative practice and being. Stop the information overflow, go offline and get back to focus in a supportive, natural environment in the middle of the Northern summer. FINE PRINT: In this residency program, participants are encouraged to not have a predetermined project plan to follow, but to arrive with an open mind and dedicate their time at the residency for on-site observations, ideas, conversations, self-reflection and development. For program details, visit their website. RU fosters customized residency environments for artists and curators in all disciplines and at all stages of practice. Participants receive critical, production, and administrative assistance. Substantial emphasis is placed on building networking capacity for the residents. DURATION: For artists, residencies usually vary in length from three to six months; for curators, duration is generally one to two months. DEADLINE: Rolling application, fill out the inquiry form here. FINE PRINT: The selection process ranges from an open call application and panel process to nominations or by invitation depending on the project, the type of residency and the partnering organization. Learn more here. Byrdcliffe Artist Residencies offer uninterrupted time and space for artists of all disciplines to work in a creative community on the 250-acre Catskill mountain historic campus just two hours north of NYC. The AiR Program offers several residency options ranging from four weeks to five months in duration, with various live/work spaces available for each session; Ceramic artists are able to apply for 1, 2, or 4 month residencies. FINE PRINT: Fellowships available based on need and merit with funding also available for women, artists of the LGBTQA community, and artists impacted by natural disasters. 1 Month Residencies are offered for individuals and couples with private and communal housing available. Each resident receives a private studio and living space. Learn more here. Heima is a multidisciplinary art residency for The physical space is a 350 square meter combined house and studio/exhibition space. In 2019 Heima will offer two 3 months residency periods, each involving six artist carefully curated. The program offers complete access to Heima’s facilities for ninety days. FINE PRINT: All artist will live together and have access to multiple studio spaces + have their own bedroom. The residency fee is 250.000 ISK (2050 Euro). The residency fee is to be paid in advance and is non-refundable. Residents must provide for their own food, travel, and miscellaneous expenses. Learn more here. Eight-week artist's residency in Léhon, a "Petite Cité de Caractère," which is short walk along the river Rance from Dinan, a "Ville d'Art et d'Histoire." The selection committee and program directors seek four to eight artists whose mix of media, approaches, styles, and focus will create a dynamic and collegial community. In particular, we are looking for artists who can use the specific character of our residency experience productively. FINE PRINT: No students. Application, accommodation in a private bedroom in an historic house with a fully-equipped communal kitchen, and studio space in a 9th-century Abbey are free. Residents are responsible for transportation to and from the residency, most supplies, and most meals. Learn more here. A.I.R. Studio Paducah is an Artist-in-Residence Studio and efficiency apartment located in the Lower Town Arts District of Paducah, Kentucky six blocks from the Ohio River. They welcome self-motivated, focused artists working in in a range of creative practices. FINE PRINT: Applicants are encouraged to have a clear objective for their residency. Learn more here. The Howard County Arts Council is thrilled to renew its collaboration with the Howard Hughes Corporation for the second annual Merriweather District Artist in Residence Program (MD AIR). Up to three artists will be selected and provided with a $10,000 stipend, studio space and housing to spend up to six weeks in residence. The highest priority will be given to artists who intend to produce works that reflect innovative approaches, new media and multidisciplinary art forms. FINE PRINT: MD AIR is open to local, national and international artists working in all media including, but not limited to, performance, video, 2-D and 3-D visual arts, dance, music, and the spoken word. Learn more here. The STARworks Clay Studio is accepting applications for residency positions of one to six months duration. The residency allows artists the opportunity to expand studio practices, and experiment with a stipend of STARworks manufactured local clay and work with visiting artists and the opportunity to become connected with nearby Seagrove, NC potters. FINE PRINT: Resident artists are provided with studio space, 24/7 studio access and up to 300 lbs. of STARworks Ceramics clay, manufactured on-site using local wild clay. Work exchange available at $10/hour up to 20 hours/week with separate application. Learn more here. The Fiore Art Center awards six month-long visual arts residencies, one month-long poetry residency, and one month-long performance/interdisciplinary artist residency promoting dialogue between the gardening, farming and creative worlds. All residents share the common thread of creating work that relates to the land or the environment in some meaningful way. FINE PRINT: Three of the six visual arts residency placements will go to artists living in Maine. In addition, they have reserved three of the six residency placements for: 1 out-of-state artist, 1 international artist, and 1 Native American Maine artist. Learn more here. The Keyholder Residency Program offers eight emerging artists free 24-hour access to printmaking facilities and studio space in the Lower East Side, as well as a $1,000 stipend to develop new work and foster their artistic careers. FINE PRINT: Print-making skills are not required, but some familiarity with the medium is recommended. Basic instruction in printmaking techniques is available for new Keyholders. Technical assistance is not included in the program, but is available at additional cost. Learn more here. The Kimmel Harding Nelson Center for the Arts awards up to seventy juried residencies per year to established and emerging visual artists, writers, composers, and interdisciplinary artists from across the country and around the world. Each resident receives a $100 stipend per week, free housing, and a private studio. FINE PRINT: Residencies are available for 2 to 8 weeks stays. Application includes artist statement, CV, references, work examples, etc. Learn more here. Artists will receive studio space and accommodations in exchange for 10-15 hours of service to the Columbia community in the form of education, outreach, and maintenance. FINE PRINT: Some materials are provided. Cover letter, resume, artist statement, and project description are required. Learn more here. The Artist Residency Program is designed to offer time and space for craft artists to focus on their creative work and interact with the public. Museum visitors have the unique opportunity to visit the artists’ studios and watch the artists at work. Interacting with the resident artists is a great way to learn about a range of craft processes and techniques. In turn, the artists receive a unique opportunity to gain exposure, make connections with the Houston community, and help educate the public about craft. WHO: Emerging, mid-career, and established artists working in all craft media, including but not limited to clay, fiber, glass, metal, wood and mixed media. DATES: Residencies available in three-, six-, nine-, and 12-month time periods. Residency cycle begins in September and ends in August. FINE PRINT: Applicants must be able to fulfill all program requirements, such as working in their studios for two days per week during HCCC public hours. $600 monthly stipend including housing/materials allowance 24/7 access to 200-square-foot studio. Learn more here. Each year up to 12 artists are selected for residencies in the Pottery and/or Foundry areas of the Kohler Arts Center. No experience with clay or cast metal is required, just an interest in pursuing a new body of work and being open to new ideas. Artists-in-residence receive 24-hour access to studio space, materials, use of equipment, technical assistance, photographic services, housing, round-trip transportation, and a modest weekly stipend. FINE PRINT: Application materials must include: 20 images of the artist’s work, a résumé/CV (3 pages maximum), a written project proposal (250 words or less), images supporting project proposal (3 images maximum), contact information for 4 professional references. Learn more here. The LUX Center for the Arts is currently accepting applications for 2019-2020 year long residencies in all media to provide emerging artists with opportunities to hone their studio skills and gain an appreciation for teaching public art classes for youth and adults. Residencies are offered in ceramics, painting, drawing, mixed media, fibers, and metals. WHO: Artists worldwide. MFA or BFA in studio art required. FINE PRINT: A strong desire to teach is required. Artists with more than one area of expertise and an MFA are preferred. Learn more here. FINE PRINT: The program accepts six national and international fellows as well as two Washington, DC-based artists in each cohort. Learn more here. VisArts invites applications and proposals from local, national, and international artists for a six month Studio Fellowship. The Studio Fellowship provides a unique opportunity for a dynamic individual artist or collaborative artist team to create a new body of work, evolve an existing body of work, or develop a project in a stimulating, supportive environment. FINE PRINT: Studio space is provided free of charge. Artists receive a $500.00 per month stipend. The VisArts Studio Fellows will present their work in solo exhibitions at the end of their respective fellowships. Learn more here. Trestle Gallery has two residency opportunities, our Trestle Artist Residency and Visiting Artist Residency. The Trestle Artist Residency is aimed at helping artists find a foothold in the art world while they develop a new body of work as an Trestle Art Space Member. The Visiting Artist Residency at Trestle Gallery allows artists to explore their practice and share their artistic experience with the Trestle Gallery and Art Space community with a free private studio membership for six months. FINE PRINT: No housing provided. Applicants are required to submit 4-8 work sample and have at least one professional reference. Learn more about each residency here. Annmarie Sculpture Garden and Arts Center welcomes artists to submit proposals for their annual summer residency program in the community arts. Proposals must show a strong commitment to community engagement in the design and execution of the project. Most artists run their project through Annmarie’s creative reuse center, called the artLAB, where artists are encouraged to incorporate recycled or repurposed materials into their project. FINE PRINT: Artists will also have access to the galleries, a private studio space, the clay studio, the 30 acre sculpture garden, the waterfront area, etc. Residencies are meant to focus on community arts projects; those that merge arts and the environment are particularly desirable. Learn more here. Main Street Arts is accepting applications for our residency program! We offer access to galleries, museums, and art communities in nearby Rochester and Syracuse while providing quiet time and space to focus on your artistic practice. FINE PRINT: Cost for Studio Only: $200 for 1 month or $350 for 2 months; Cost for Studio and Housing: $400 for 1 month or $700 for 2 months. Artists in residence have 24-hour access to a large studio on our second floor. Facilities include 200 sq. ft. studio spaces, an electric kiln, potters wheel, etching press, and more. Learn more here. For nearly four decades, Bemis Center’s core mission has been to provide artists from around the world dedicated time, space, and resources to conduct research and to create new work across conceptual, material, performative, and social practices. Bemis offers artists-in-residence unmatched technical guidance, access to interns, and an established network of resources. FINE PRINT: U.S.-based artists-in-residence receive a $1,000 USD monthly stipend and an additional $750 USD travel stipend. Due to the limitations of B2 visas (touring/visiting), international artists-in-residence are eligible to receive reimbursement of qualified expenses, such as airfare, ground transportation, and meals. Learn more here. Artrooms Fair is the first international contemporary art fair offering free exhibition spaces to independent artists, innovating the way artists and buyers meet. Artists will exhibit in hotel rooms to be transformed into their own creative and intimate studios. It is a great opportunity to share your vision, meet collectors, curators, and to be scouted by galleries. FINE PRINT: Application fee: £20. Artists must attend the fair and be present during opening hours. Learn more about the application process here. Five Points Center for the Visual Arts is accepting submissions for its 2019 Small Works Juried Exhibition. Up to three, 2-D or 3-D recent works, no larger than 12” in any direction will be accepted. FINE PRINT: The single award will be a 2020 solo exhibition in the Five Points Gallery. A $35.00 entry fee will be charged for up to three works. Five Points will only accept submissions through CaFE. Learn more here. Artists are invited by Fusion Art to submit their best art and photography for an online competition depicting natural scenery and the physical elements of landforms such as mountains, hills, valleys, deserts, farmland, trees, rivers, lakes, ponds, forests, wilderness, polar regions, rainforests, islands, and tropical landscapes. WHO: All artists, regardless of location or experience, are encouraged to submit their best work in any medium. FINE PRINT: Best in Show and 2nd through 5th Place awards will be given. The Best in Show winners will be invited to Fusion Art's 3rd Annual Group Show in Palm Springs in February 2019. $20 for 1 image / $35 for up to 5 images. Learn more here. Light Space & Time Online Art Gallery invites all 2D and 3D women artists (including photographers & digital artists) from around the world to make online submissions for possible inclusion in the Gallery’s online group art exhibition. There is no theme for this competition. FINE PRINT: Winning women artists (10 Overall Category Artists) of the exhibition will be promoted extensively by the gallery. Learn more here. Aeolian Dust is an international contest for pastellists – artists who draw with pastels. Only pastel artworks are accepted. Selected artworks will be exhibited in Fontana Gallery in Piešťany, Slovakia. FINE PRINT: Artworks must be originals, no copies or reproductions of photographs will be accepted. Registration fee is 10€. Learn more here. This winter, Creative Time is inviting artists to submit proposals for a public artwork. They are most interested in ideas that take unconventional exhibition formats, speak to a pressing social issue, and engender public dialogue. WHO: New York City-based artists at a critical career juncture, who have not yet received a public commission or substantial support from a major cultural institution. DATES: The selected project will be presented in the spring/summer of 2019 in New York. FINE PRINT: The production budget will vary depending on the proposed concept and will not exceed $50,000. In addition, the selected artist will receive an artist fee based on the scope of their project. Applicants cannot be currently enrolled in a degree program. Learn more here. While the concept of the decisive moment is often associated with dynamic, synchronic activity captured in an instant – it may just as well apply to the photographic image that records a thoughtful moment of fleeting solitude or calm. Praxis Gallery seeks the submission of photographic works that explore this intersection of form, function, and significance. FINE PRINT: All genres, capture types, color and black & white, traditional and non-traditional photographic and digital post-production processes are welcome for submission. The submission fee for entry is $35.00 for the first five images and $5.00 for each additional image. Learn more here. Husby Art Center would like to invite printmakers to participate in a mini print exhibition opening. This exhibition will feature small-scale works in all printmaking mediums. FINE PRINT: Each artist should submit a single print, or, more, if the prints comprise a series. All traditional printmaking techniques are acceptable. (No drawings, photographs, or direct reproductions are eligible.) Learn more here. An all-media exhibition seeking to answer the question, “What is a modern portrait?” Foundry Art Centre is asking artists to capture the people and culture of our time. This exhibition will display artistic approaches as diverse and unique as the souls they are used to represent. FINE PRINT: Three prizes will be awarded at the Opening Reception: two Juror’s Choice Awards of $200, and a Going Solo Award that offers the awarded artist the choice between a Going Solo Exhibition and $500. Learn more here. Fusion Art is once again celebrating women artists! This is an international online competition so any subject matter and any media is acceptable. The work can range from realism to surrealism to abstraction, and all women artists over the age of 18 are encouraged to submit their best 2D and 3D representational and non-representational art and photography. FINE PRINT: A three-month group online exhibition will be featured on the Fusion Art website. $20 for 1 image / $35 for up to 5 images. Learn more here. Las Laguna Gallery proudly presents Matters of the Heart. Just as the discussion about the heart is a subjective matter, so too is the interpretation of the theme for their February show. They invite the artist to take a conceptual, literal or emotional approach to matters of the heart. In addition to portrayals of the heart, they ask, what do you love? FINE PRINT: There is no limitation on sizes of work but they have found works over 60 inches to be costly for shipping and recommend sizes that are manageable. $35 entry fee. Learn more here. Fragmented art, whether it be collages, abstracts, splintered art, or fractured art allows the viewer to see what the artist sees, in pieces woven together in a mosaic to narrate a story or a perception. It’s an abstract way of thinking, breaking down perspective into finite relative pieces. It makes no sense at first, and yet, it makes the ultimate sense. In this international art call, Fragmented art is asking for the artist’s interpretation of fragmented art. WHO: All professional and amateur artists worldwide. FINE PRINT: All art mediums will be considered in this call for submissions, from photography, wall sculpture, ceramics, fabric, mixed media, all paintings and drawings including, oil, acrylic, pastels, ink, graphite, etc. $35 for 3 entries, $5 for additional entries. Learn more here. Photographers from all over the world are invited to submit photographic works for a group exhibition that tell and document situations and conditions inherent to the current natural world by touching the theme of environmental protection and pollution. FINE PRINT: Photographers are invited to submit one to three photographic works addressing the theme. Particular consideration will be given to those photos that will be able to valorize the natural environmental heritage. Learn more here. Twenty artists will be selected for an online group exhibit, “Blue 2019” at Gallery25N; the exhibit and artists will be extensively marketed worldwide to over 30,000 people including art buyers, gallery owners, curators, collectors, etc. Looking for art created of any subject that is enhanced by the use of the color blue, whether it is a single dot of blue or a completely blue image. FINE PRINT: One artist’s work will be selected to receive the “Christopher E. Burke Fine Art Grant” of $500. Entry Fee: $25 for up to three entries and $5 for each additional image. Learn more here. Journey: a traveling from one place to another, usually taking a long time; trip; passage or progress from one stage to another; to make a journey; travel. Creative Spirit’s exhibit will celebrate the artists’ unique and varied expression of this creative source. FINE PRINT: The cost to participate in an exhibit is $30.00 per piece. No additional costs or membership are required. This fee helps cover exhibit labor, marketing, and reception. Learn more here. A juried exhibition featuring artists under the age of 30. Zimmerli Art Museum Curator, Donna Gustafson will make final selections and 30 artists will be selected for the show. FINE PRINT: Any media, no larger than 36″ in any direction is welcome. $30 for 3 images, $5 for each additional image. Learn more here. The 57th Street Art Fair invites artists with high quality, handmade, original work to apply to be part of the 72nd annual juried event in Chicago’s Hyde Park neighborhood. This two-day event showcases a range of original work in glass, jewelry, leather, photography, printmaking, painting, sculpture, wood, ceramics and fiber art entirely designed, created and produced by artists from around the country. FINE PRINT: No reproductions, unlimited editions, or mass-produced works, please. Learn more here. Do you travel for luxury or necessity? Are there ways in which you travel that others don’t? Or have you seen travel that’s out of the ordinary? This show by C Street Gallery explores the way humans travel across the planet for asylum, weather events, luxury, exploration, or the need to relocate. FINE PRINT: Mediums accepted include: painting, drawing, photography, sculpture, mixed media, small constructions or installations (limited to 5x5x5 ft), short films in .mp3 format, and crafts. Learn more here. Building BloQs is a bustling workshop space within the BloQs Cafe. To support emerging artists in their practice the Cafe is excited to be able to offer this space to exhibit their work. Each month we offer an artist the opportunity to exhibit for one month. There is no cost for exhibiting and no commission of artwork sales is taken. The Cafe is open late for a private view on the first Thursday of each month and they offer support and promotion across our social media channels. FINE PRINT: If you would like to exhibit your work please get in touch with 200-400 words about your practice along with a few images to info@buildingbloqs.com with the subject line ‘First Thursdays’. Learn more here. The Politits: Art Coalition is honored to announce an open call for our 3rd annual juried exhibition. Place Setting is inspired by the idea of the dinner table, a place where artists are welcome to join in conversation, to share, reflect and organize during a time of unrest. Place Setting is focused on supporting artists who have historically been underrepresented in the arts. FINE PRINT: Submission fee: $15 for 1-3 images. This show is for those who are feeling unheard, fed-up, full of rage and are looking for support from their fellow creatives. Learn more here. FRESH: not previously known or used; new or different. recent, latest, up-to-date, modern, modernistic, ultramodern, newfangled, original, novel, innovative, unusual, unconventional, unorthodox, radical, revolutionary, informal, offbeat. A juried show by SoLA Gallery. FINE PRINT: Art made within the past two years. Opening reception on February 23. Learn more here. Animals. They are our innocents, our beasts, our wild. They are caged, they are hunted, they are tamed, they are dissected, and they are forgiving. In this call for artists, Linus Gallery asks artists to depict the beauty and majesty of our wild beings, animals. FINE PRINT: All art mediums will be considered in this call for submissions, from photography, wall sculpture, ceramics, fabric, mixed media, all paintings and drawings including, oil, acrylic, pastels, ink, graphite, etc. Cost: $35 for 3 entries, $5 for additional entries. Learn more here. The cultural association MPGart, a non-profit-making association, promotes and organizes the I edition of the Simpos’art Festival in the town of Vittoria, Italy. The aim is to raise awareness about contemporary art in its different languages. WHO: Artists working in painting, sculpture, photography, installation, art video. FINE PRINT: Apply by email. Required: photos for each submitted works in high solution jpg with a complete tagline (title, size and technique), artist biography and telephone number. Learn more here. This call from Limner Gallery is for a thematic exhibition dedicated to abstract art. The exhibition is open to all forms of abstraction, from the geometric to the lyrical, from the precise to the raw. FINE PRINT: Entrants must be 18 years of age or older to apply. Wall mounted works must not be taller than 96" no wider than 120". Sculptural work must fit through a standard height, 36"wide entry door. Learn more here. Our fourth edition of the All About Photo Awards invites photographers from around the world to submit their best work for consideration. FINE PRINT: $10,000 in cash awards, extensive press coverage and global recognition for winners. $30 (US Dollars) for the 3 first images. $5 (US Dollars) for each additional image. Learn more here. The Association of Illustrators (AOI) in partnership with USA-based Directory of Illustration, announces that the World Illustration Awards 2019 are now open for entries. Illustrators are invited to submit work made in the 2018 calendar year. FINE PRINT: Eight award categories: Advertising, Books sponsored by NoBrow, Children’s Books sponsored by Walker Books, Design, Editorial, Experimental, Research and Site Specific. Learn more here. The Allied Arts Council and the City of Saint Joseph, Missouri seek sculptures to be placed in Downtown Saint Joseph. Selected sculptures/sculptors will receive a $500 honorarium and all sculptures selected will be competing for up to $13,000 in cash prize awards. FINE PRINT: The Allied Arts Council will purchase a sculpture to become a permanent part of Saint Joseph's public art collection. Only pieces priced $15,000 or less will be considered for purchase. Learn more here. PH GALLERY + STUDIO seeks photo-based artists to participate in the 4th Annual Juried Group Exhibition. PHOTO21 engages with artists whose work actively pushes the boundaries of traditional photographic and visual expression thereby forging new ground in the practice of the photographic medium. What is the future of the photographic object? This exhibition explores this question through the 21st century artists' eyes and mind. FINE PRINT: Photo-based works, including film, digital photography, 2-D, 3-D, installation, mixed media, sound and all forms of photo-based media will be considered. Learn more here. Las Laguna Gallery is seeking works from women artists. This exhibition is dedicated to the spirit and creativity of all women artists, past and present. FINE PRINT: Works in Acrylic, Airbrush, Assemblage, Charcoal, Color Pencil, Collage, Digital Art, Drawings, Encaustic, Fiber Art, Graphite, Illustration, Mixed Media, New Media, Oil, Painting, Pastel, Photography (Traditional and Digital), and Watercolor, will be considered. Learn more here. PAPER 2019 exhibition features pieces by artists working in paper broadly considered. Submissions may include prints, drawings, photographs, artists’ books, handmade paper as well as three-dimensional works made with paper. The aim of the exhibition is to highlight the vitality, diversity, sense of experimentation and skillful execution and the many ways in which contemporary artists approach this material. FINE PRINT: Best in Show, awards an artist a solo exhibition at Silvermine Arts Center with a $1,000 stipend for show related expenses. To be considered for the Best in Show Prize, artists are required to enter a minimum of three works. Learn more here. In honor of the square canvas, “Homage to the Square” will feature works that are restricted to the 8″ x 8″ square canvas. Displayed in a grid, each work will be different from the next in medium, subject matter and style. FINE PRINT: Size, including framing if applicable, may not exceed 8” in any direction and must be properly prepared for installation. Work must be properly framed and/or prepared for hanging with wire (no toothed hangers). Learn more here. The City of Beverly Hills seeks artists for the Beverly Hills Art Show, to be held along four verdant blocks of beautiful Beverly Gardens. Up to 250 artists will be selected to exhibit. Artists should have a substantial body of work in one category. WHO: Artists working in the following art media: painting, sculpture, two-dimensional mixed media, three-dimensional mixed media, drawing, traditional printmaking, photography, digital art, ceramics, glass. Additionally, visual performance artists and demonstrating artists are invited to call show staff about exhibiting. FINE PRINT: $35 application fee. There is a late deadline of February 21st, but application fee rises to $55. Learn more here. Campus Arts Initiative and eight partners from across Penn State’s Commonwealth Campuses are partnering to develop temporary works of public art, one at each partner’s site. The projects will result from collaboration between eight artists and the host sites they are partnered with. FINE PRINT: There are no residency requirements for this opportunity, but applicants should be aware that the program requires site visits and in-person collaboration with partners. Each artwork has a budget of $7,000. Learn more here. It must be a human instinct to create with mud. If you take earth, wet it, shape it, and fire it, something useful, beautiful, and elemental is formed. From this invention, mud bricks, drinking vessels, and sculptures were created. With “Ceramic Centric”, Foundry Art Centre seeks to celebrate how current artists translate this ancient medium. The artwork in this exhibition will be comprised primarily of clay. FINE PRINT: As creating with this medium is not limited to the three dimensional, half of the show will display wall hanging ceramic works. Learn more here. stARTup San Francisco is a contemporary hotel art fair for independent artists. stARTup SF runs at the Hotel Del Sol taking place at the same time as nearby SF Art Market gallery fair. Selected artists will each take over a hotel room for the course of three days to present a solo show and will have an opportunity to expose their work to a myriad of collectors, curators, gallerists, and art consultants who will be in the city for a weekend of contemporary art. FINE PRINT: stARTup provides a marketplace for artists to present and sell work on their own terms. All sales proceeds belong 100% to the artists. Applications should include: Artist resume/CV, 10 images, short statement about your work and how you’ll integrate it into the space. Learn more here. Portrait Society of America’s “The International” is one of the most popular and prestigious competitions focused solely on the portrait and figure. The top twenty finalists are required to exhibit their selected original artwork and be present at the prestigious The Art of the Portrait© conference in Atlanta, GA, April 25-28, 2019 for final judging and awards. FINE PRINT: A variety of mediums is welcomed and encouraged. Finalists will be announced March 7, 2019, and on Saturday, April 27, over $100,000 in cash and awards will be presented, with a $25,000 cash Grand Prize. Learn more here. The City of Sydney is seeking art projects for the 2020 Art & About program. Ambitious installations, augmented reality, performance – we’re keen to hear about any bold and original ideas that will temporarily transform public and unusual spaces in the Sydney city area. WHO: Visual artists, theatre producers, choreographers, curators, creative technologists, architects, designers – all creative disciplines are encouraged to apply. DATES: Selected works will be realized between January 2020 and December 2020. FINE PRINT: They will fund a number of projects from $40,000 to $85,000 (AUD). Learn more here. Americans for the Arts Public Art Network (PAN) is accepting submissions for public art projects that were completed and open to the public from January 1st to December 31st, 2018. The PAN Year in Review annually recognizes outstanding public art projects that represent the most compelling work for the year from across the U.S. and beyond. Past projects have ranged from temporary projects, site specific permanent pieces, artists in residencies, social practice work and more. FINE PRINT: Three public art professionals serve as jurors to review hundreds of project applications and select up to 50 projects to include. To access past projects, visit the PAN Year in Review Online Database that holds the over 800 past projects that have been selected by previous jurors. Learn more here. Artists from across the country are invited to submit applications for the 48th juried Midsummer Festival of the Arts. The 135 artists to be selected will enjoy welcoming staff, volunteers, and patrons; a free, delicious Saturday evening buffet; $3,000 in awards; and the Arts Center itself. Extensive event marketing draws collectors and buyers from throughout the Midwest. FINE PRINT: Cash awards totaling $3,000 will be given based on the artist’s entire body of work. Excellence, regardless of medium, will be the determining factor. Learn more here. Anima Mundi Festival will be presented in Venice at THE ROOM Contemporary Art Space, at Palazzo Ca’ Zanardi and other prestigious venues and historical buildings. Anima Mundi consists of 3 main events, RITUALS, CONSCIOUSNESS and VISIONS, and the collateral events ELEMENTS – FROM SHAPE TO SPACE and Venice Experimental Video and Performance Art Festival. FINE PRINT: During these main events, will be presented works of photography, painting, sculpture/installation, design and architecture, video-art and live performance. Learn more here. All artists both UK & international are invited to apply for the Visual Art Open Prize, to win cash prizes of £1,000, plus a solo exhibition, and mentoring package. Finalists will also be exhibited at Chester Arts Fair 2019. FINE PRINT: There are 6 categories: Painting/Mixed Media/Printmaking, Illustration/Drawing, Sculpture, Photography, Digital, and Young Artist (Under 24). Learn more here. Crested Butte, Colorado, is home to one of the U.S.’s top arts festivals. Now approaching its 47th year, the Crested Butte Arts Festival features incredible art, fantastic cuisine, exhilarating entertainment, artist demonstrations, children’s activities, and an art auction. FINE PRINT: A 5 member jury will select approximately 165 artists to exhibit. Booth fees start at $386. Learn more here. The Sausalito Art Festival Foundation invites you to apply to participate as one of 260 premier artists showcased at one of the top outdoor fine art festivals in the country. On Sausalito’s spectacular waterfront, the Sausalito Art Festival attracts more than 30,000 art lovers to celebrate the virtuoso talents of the finest regional, national, and international artists. FINE PRINT: Late applications accepted through March 15, 2019 with a $100 late fee applied. Booth fee includes: white canopy, assisted load-in and load-out. Learn more here. The Howard County Arts Council (HCAC) is seeking up to 12 artists to participate in its Eighth Annual Juried Public Art Competition for a temporary outdoor exhibit. HCAC’s goal is to make art more accessible to the entire community by placing sculpture at sites throughout Howard County, Maryland. The sculpture will serve as major visual anchor points that will enhance and activate community spaces and generate interest in public art. FINE PRINT: HCAC will provide up to 12 artists with a $2,500 grant to cover the temporary loan, insurance, installation, de-installation, and repairs to the sculpture. If multiple pieces are selected from one artist a separate grant will be awarded for each piece. Learn more here. Arcadia is looking for artists interested in creating immersive environment installations to promote sustainability. The artwork will be displayed during a collective event. The event will be promoted with strong marketing strategy where all installations and their creators will be highlighted. 3 grant levels: $2500, $5000, $7500. FINE PRINT: Artists will need to create immersive sustainable experiences by activating an area of 15’ x 10’ more or less, using recycled materials and innovative technologies. Learn more here. The Carriage Barn Arts Center hosts its 29th annual Spectrum Contemporary Art Show that will showcase multiples – a pair, diptych, triptych or group of pieces that relate to each other. Selected works will highlight the juxtaposition, contrast, comparison, expansion, connection and separation between the pieces. Jurors will be looking for submissions of two or more pieces that make statements that are both subtle and obvious, complementary and conflicting. FINE PRINT: Up to six individual works may be submitted – for example three pairs, two groups of three or one group of five or six pieces. There is no size limit, but dimensions of each individual piece must be noted. Learn more here. The City of Newport Beach is pleased to announce a call for entries for its Invitational Sculpture Exhibition. This is a unique exhibition opportunity to display artworks in a serene, ocean view site that is a popular attraction for Newport Beach residents and tourists from around the world. Ten artworks may be selected and prominently showcased for two years in the heart of Newport Beach in Civic Center Park. FINE PRINT: Selected artists will receive an honorarium of between $2,500 and $6,000 in exchange for a two-year loan of their artwork. Learn more here. Las Laguna Gallery is seeking works that explore plants. Works that show flowers, plants, trees, leaves, cactus, succulents, etc. will be considered. FINE PRINT: Works in Acrylic, Airbrush, Assemblage, Charcoal, Color Pencil, Collage, Digital Art, Drawings, Encaustic, Fiber Art, Graphite, Illustration, Mixed Media, New Media, Oil, Painting, Pastel, Photography (Traditional and Digital), Printmaking and Watercolor, will be considered. Learn more here. We invite visual artists working in all mediums and makers in craft & design from across Canada and beyond, to submit applications to Canada’s largest and longest-running juried outdoor art fair. The 58th Toronto Outdoor Art Fair takes place at Nathan Phillips Square and attracts over 115,000 art enthusiasts and collectors locally and internationally. FINE PRINT: Please see the Fees and Deadlines page for detailed cost breakdown. Artists keep 100% of their profits. Learn more here. It is a need made known since the most remote past that of man to illuminate his streets, squares, contexts of social life and community. Today are the neon, the illuminated signs, the lights of shopping centers, of the streets, squares, buildings, etc. to bear witness to this ancient means. This call will collect works that tell of the world of today urban contexts, in the relationship between man, his environment and the means he created to give light. FINE PRINT: Free entry. Artists are invited to submit 1 to 3 artworks addressing the theme. Submit here. Spartanburg Art Museum is seeking proposals for solo and group exhibitions for 2019-2020. They’re interested in all types of work that address contemporary issues and concerns, use traditional materials in unusual ways, and elevate visitors’ experiences to new levels of participation and engagement. All media and themes will be considered for exhibition. WHO: Any individual, collective, or group of artists (age 18+) who reside in the United States or Canada may apply. FINE PRINT: The following materials are required: 8-10 digital images of your work, artist statement, short biography, resume or CV, application form, and $35 USD application fee. Learn more here. FINE PRINT: Awards are valued at more than $70,000. In addition to cash prizes, other awards include participation in the collective exhibition, featured magazine profiles, valuable PR opportunities, and an honorable mention. A portion of the gallery’s proceeds from artwork sales will be donated to the Children’s Heart Foundation. Learn more here. The International Sculpture Center (ISC), is seeking panel proposals for the 29th International Sculpture Conference. This conference will feature the annual ISC littleSCULPTURE show, ARTSlams and breakout sessions, engaging panel discussions, evening parties, hands-on workshops, a keynote address, open studios and gallery hops, optional art and culture trips, public art tours and visits to nearby sculpture sites, and more. FINE PRINT: They are looking for panels which explore the following topics and ideas: Redefining Sculpture in the Digital Age, Asian Influences in Contemporary Sculpture, Muddy Waters: Bridging the Classic and Contemporary Gap, Collecting and Collections, Makers in the Margins, The Life of Public Art, The Art of Learning and Teaching Sculpture, Green Only: The Impact Art Has on the Environment, Technical Talks/Workshops, and Wildcard. Learn more here. International Collective Exhibition during the art fairs in Basel, is now open for applications and proposals. Theme: “no hurry no delay.” This theme possibly will not be clear for everybody, but maybe it invites to start thinking about what if could mean. FINE PRINT: They are selecting an outstanding conjunction of painting, photography, installation-art, sculpture, and video. Performance and lecture may form part of their program as well. Learn more here. Registration is open for the 2019 North Lake Tahoe Plein Air Open! Hosted by North Tahoe Arts, this five day competitive painting event takes place in the stunning Lake Tahoe Basin. FINE PRINT: Accepted artists can look forward to a champagne registration, hosted paintouts, a plein air painting demonstration, and cash prizes in two painting competitions. Learn more here. Mendocino Coast Botanical Gardens invites artists to submit an application to exhibit their original work. This celebration of creative expression, gorgeous gardens, music, beer, wine, and food attracts as many as 1,500 visitors each year. FINE PRINT: Jurying will take place following the deadline and they will send notifications by mid-April. While there is a non-refundable jury fee of $30, there is no booth fee. A 25% commission will be taken from all artists’ sales. Learn more here. International ARC Salon Competition is the most influential and far reaching competition for Contemporary Realism in the world, offering over $100,000 in cash awards and international recognition through partnerships with prestigious magazines, galleries and museums, with live exhibitions and a strong online presence. FINE PRINT: Students may apply and with a discounted application fee. Artists may enter in one or all 11 categories, see categories here. Northville Art House invites submissions for the FINE POINT: Juried Colored Pencil Exhibition. This is an open juried competition to showcase the beauty, richness, and versatility of colored pencil through two-dimensional works. FINE PRINT: Artists may submit a maximum of 3 two-dimensional works of art created primarily in colored pencil within the last 2 years. Images produced by drawing over a digital reproduction and reproductions of artwork (giclee, print, etc.) are not allowed. Learn more here. The New York Center for Photographic Art (NYC4PA) invites photographers world-wide to submit images using any photographic process (print, image transfer, emulsion transfer, encaustic, black and white, color etc. ).This call is not about "still life", "landscape", or "posed portrait" images. It is about how you capture the idea of motion/momentum in a single frame; photographs that clearly send a message to the viewer that the subject or the camera/lens is moving. FINE PRINT: This mid-winter call is a little different from most of their others. They still have a wonderful juror, an online gallery and a winners’ catalog. However cash awards are larger in lieu of the gallery show for Prize Winners and Juror Selections. Winners will receive over $4,000 in cash awards, be featured in the NYC4PA Online Gallery and Award Winners Catalog. The Grand Prize winning image will be posted on the NYC4PA home page. Learn more here. The Lockwood-Mathews Mansion Museum is calling for artists to submit artwork. The juried exhibition entitled, Historic Grounds & Modern Gardens, is open to all artists and will be juried by artist and Trustee Gail Ingis who will select approximately 30 works from digital submissions. FINE PRINT: Accepted artwork must be framed and wired ready for hanging. Labels will be provided by LMMM and attached to the artwork. Learn more here. Since 2007, the ZUKUNFTSVISIONEN Festival (ZuVi) has been established at the Polish-German border in the town of Görlitz. This year’s festival centers on the motto “Threadless”. The play on words creates a discourse on coincidence, conscious decisions and the random events that determine our fate and future. FINE PRINT: Artists may submit to the following categories: painting, drawing, graphics, photography, plastic, sculpture, street art, installations, media and action art. Learn more here. artlessBastard is calling for 2D & 3D works of art for their exhibition. Some dreams are happy. Some are disturbed. Some are blatantly obvious. Some are hard to interpret until you look deep within the work. Whether you’ve got an amazing still life entitled ‘BLUEBERRY DREAMS’ or a dark, conceptual abstract entitled ‘ABANDONED DREAMS’, they can’t wait to see it! FINE PRINT: Works can range from traditional to contemporary, but all works submitted for this show must be titled to fill in that ‘blank’ in front of DREAMS. Learn more here. Light Space & Time Online Art Gallery invites all 2D and 3D artists (including photography and digital arts) from around the world to make online submissions for possible inclusion in the Gallery’s April 2019 online group art exhibition. FINE PRINT: The “Figurative” theme is the artist’s interpretation and depiction of the human form and human features. “Figurative” subjects are considered to be figures, forms and faces. The gallery will accept art on this subject that is either representational or abstract. Learn more here. The Art & Apples Festival is back for 2019! Taking place the weekend after Labor Day in scenic Rochester Municipal Park, this three-day fine art festival includes over 250 fine art vendors, over 14 live performance groups and free kids art activities throughout the weekend, and twenty food vendors from across the continent. FINE PRINT: During the 2019 Art & Apples Festival®, each artist’s work will be evaluated by an on-site jury. The top scoring artists will receive cash prizes based on design, execution, and aesthetic appeal of the work, as well as booth presentation. Up to one third of the highest scoring artists will be invited to participate in the 2020 Art & Apples Festival as Jury Exempt Artists. Learn more here. During the last few years, Zebrastraat Ghent has developed into a stimulating knowledge centre with a strong interest in art. 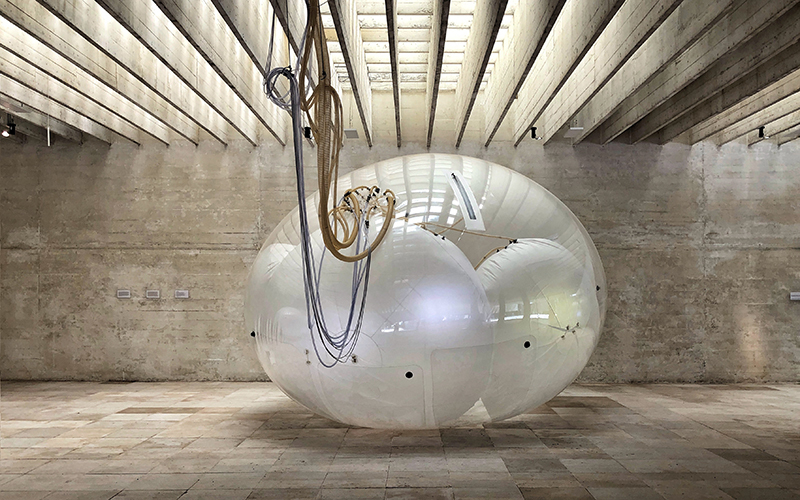 Every two years we organize a biennial called update_, and the New Technological Art Award (NTAA) contest, which tries to fill in a gap in the mainstream art world, by paying attention to the technological developments that drive our global culture. The exhibition of achievements of the selected winners is a compass that orients you to the relevant temporal and resilient use of technology in the artistic sector. FINE PRINT: English is the working language. There is no artist fee. Free accommodation for the artists is available in Zebrastraat. Learn more here. The London Art Biennale 2019 is now open for artist submissions. Held at the Chelsea Old Town Hall, previous editions of this event have seen 120 artists from 50 nations around the world brought together in this fantastic event that attracts thousands of visitors each year. FINE PRINT: The first 50 accepted artists will also take part in a second group exhibition later in the year at the Gagliardi Gallery, which has been selling art on the King’s Road in the heart of London for 40 years. Learn more here. Palm Springs Mural Festival is requesting muralist or muralist group proposals for large-scale murals to be displayed throughout the city of Palm Springs. In the inaugural year of PS Mural Fest, we are choosing to launch with the theme, WORDS MATTER. Words are powerful. They have the ability to inspire, motivate, and persuade, or to discourage, dismiss, and dissuade. They have chosen 14 of the most inspiring and profoundly relevant concepts that speak to the fundamentals of what it means to be human. Artists are being asked to submit proposals for both temporary and permanent display. DATES: Selected works will be on view for 6-12 months depending on the assigned sites and their locations. FINE PRINT: All selected artists are paid, including those painting live installations at the festival. Fees are negotiated based on a combination of typical festival rates, experience, profile, wall size, painting duration, travel, accommodations, and other factors. Learn more here. The Wooster Green Steering Committee is seeking to commission a work of public art for the newly developed community space situated in downtown Bowling Green, Ohio. The committee will seek qualified artisans to propose a sculpture incorporating the theme of education, teaching and learning. FINE PRINT: The budget for this project is $45,000. The budget includes all costs associated with the project including but not limited to: artist’s design fee, travel, materials, public presentation(s), documentation, transportation, permits, installation of the work and other contingencies. Learn more here. For this competition from Fusion Art, artists are invited to submit their best art and photography in any subject matter and any media for an online exhibition. The artwork can range from realism to surrealism to abstraction. FINE PRINT: All competitions include awards in three categories - "Traditional" Art, "Digital & Photography" and 3-Dimensional Art (if the gallery receives 3D entries). Best in Show and 2nd through 5th Place awards will be given. The Best in Show winners will receive a cash prize and be invited to Fusion Art's 4th Annual Group Show in Palm Springs. Learn more here. A juried exhibition of small works hosted by Trestle Gallery. Pieces may be no bigger than 12″ on longest side – we accept framed and unframed works of all media. If a work is framed, the frame can be a maximum of 2″ larger than the piece itself, making the max dimension 14″. FINE PRINT: You may submit up to 3 works for consideration. Images must be in JPEG format, 1000 pixels on longest side. CV and Statement must be submitted in PDF form. Learn more here. Las Laguna Gallery is seeking impressive works in this all media* call for art. Works in Acrylic, Airbrush, Assemblage, Charcoal, Color Pencil, Collage, Digital Art, Drawings, Encaustic, Fiber Art, Graphite, Illustration, Mixed Media, New Media, Oil, Painting, Pastel, Photography (Traditional and Digital), and Watercolor, will be considered. FINE PRINT: *They have already selected the sculpture for this exhibition, no further sculptural works will be accepted. Learn more here. This is an open call for art that uses language as a medium and tool. Language should be considered beyond just a visual element. Artists should consider language in its broadest definition and more than simply a system of communication. FINE PRINT: Art in all mediums is accepted. Email submissions and questions to: elsotanoartspace@gmail.com. Learn more here. Vital to Earth and all known forms of life, water holds awesome powers of creation, destruction, and transformation. 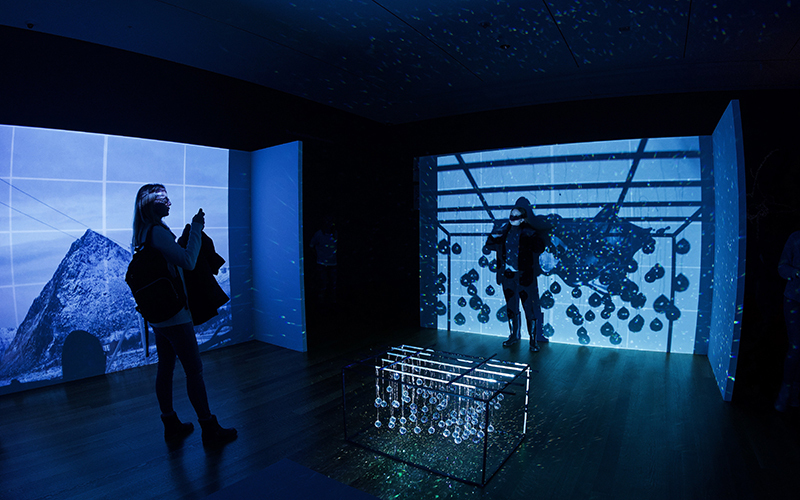 This exhibit invites artists to submit works that explore the power, meaning, and majesty of water, from its chemical composition to its economic importance, to its terror and allure. All media welcome. FINE PRINT: Small to large-scale works; indoor and outdoor works to be included in the show. Cash awards to be presented. Learn more here. A national exhibition hosted by the National Association of Women Artists. All drawing and pastel artworks are eligible. FINE PRINT: Both NAWA members and nonmembers may apply. Three awards ($150, $100, $75) and two honorable mention certificates. Learn more here. June 28 – July 1, 2019 marks the 50th anniversary of the historic Stonewall uprising that served as a catalyst for the LGBTQ+ rights movement in the United States and around the world. To recognize and commemorate this historic moment, Susquehanna Art Museum is partnering with the LGBT Center of Central PA and Dickinson College Archives and Special Collections to open the LGBTQ+ history project collection to artists and creators. Artists are tasked with creating original works of art inspired by the items in the collection. FINE PRINT: Works selected for this exhibition should provide a contemporary reflection on a pivotal moment in American LGBTQ+ history. Submissions may consider the history of the LGBTQ+ community, the continued search for equity and inclusion both nationally and globally, social justice for marginalized groups, or other expressions of creativity inspired by the collection. Learn more here. A juried exhibition of original art hosted by the National Art League for artists working in all traditional and non-traditional 2D and 3D media, including sculpture. FINE PRINT: Photography, film, video, computer art, reproductions (such as giclee, prints) are not acceptable unless used as part of a mixed media artwork or collage. Installation art or performance art are not accepted. No crafts (such as jewelry) or kit work. Learn more here. VisArts invites artists working in all media to apply for 2020 Solo Exhibitions in the Gibbs Street Gallery, Common Ground Gallery, and Concourse Gallery. Exhibitions in each of the galleries explore the breadth of contemporary art featuring emerging to mid-career artists. FINE PRINT: Applicants who have participated in a solo exhibition at VisArts within the past two years are not eligible to apply. $15 application fee required. Learn more here. An exhibition hosted by the International Photography Museum. This year’s categories include: People/Portraits, Places/Landscape/Drone, Nature/Science/Animals, Documentation/Social and Political Photojournalism, Still Life, Abstract Photography and Conceptual Photography. FINE PRINT: Each category will have first, second and third place winners. First-place winners will receive $100-cash prizes. Learn more here. The National Oil & Acrylic Painters’ Society (NOAPS) invites oil and acrylic painters from all across North America and International Artists to apply to our exhibit honoring the best in oil and acrylic painting. NOAPS has been showcasing the talents of oil and acrylic painters since 1991. FINE PRINT: This is an international juried online competition open to ALL artists 18 years of age and older working in Oil and Acrylic medium. Both members and non-members of NOAPS may apply. Learn more here. 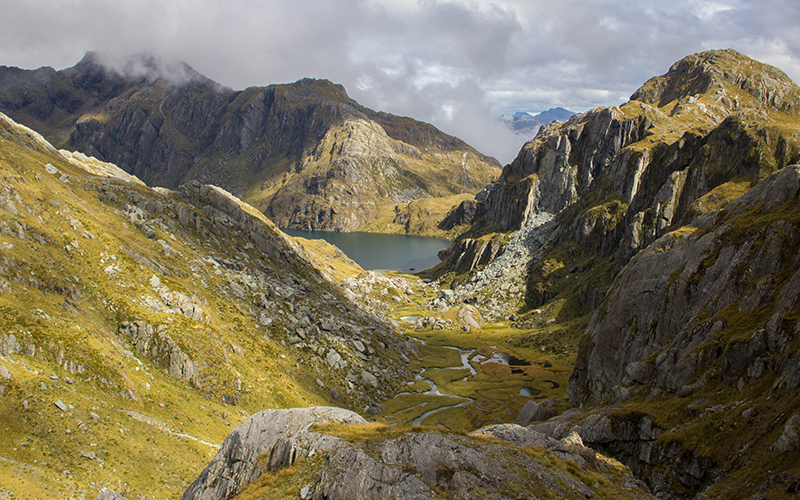 The landscape is one of the most pervasive sources of inspiration for artists. As long as cameras have been around, the landscape has been an integral part of their history. Specto Art Gallery wants to see your exploration of landscape, or whatever scape, you want to share with us. Open to straight landscape photography, created landscapes, abstracted, composite worlds, etc. FINE PRINT: Anything we can print on our printers or display digitally will be considered! Specto prints, mats, and frames all works exhibited, at no additional cost to you! This means no worry about the exorbitant cost of shipping! Learn more here. The 19th Annual Small Print Show is a unique, juried art show of matted hand-pulled prints. Artists are eligible to submit up to 3 original prints to exhibit and sell. Cash awards will be given for Best in Show, 2nd and 3rd Place, with 2 Honorable Mentions. FINE PRINT: Entry fee $40 for 3 pieces. Prints are judged, and up to 100 are selected for display and sales. Learn more here. The Edge Effect describes an ecological phenomenon in the border area between disparate habitats, such as a meadow and a forest, which results in exponentially greater biodiversity. The Katonah Museum of Art recognizes that a museum creates a similar environment where works from artists with diverse backgrounds and locations are brought together to foster dialogue and spark creativity. Just as a border area is teeming with life, an exhibition can be a fertile place of ideas and images. This exhibition will solicit submissions in all media, of all subject matter, and from artists throughout the world. FINE PRINT: Artists may submit up to six works in any media. The fee for each work submitted is: Katonah Museum Artists’ Association (KMAA) members $25, non-members $35. Learn more here. GREEN: The word can be an adjective, a verb, and a noun. But what does GREEN mean to the Arts Center East? Green is associated with the free pleasures of nature with its vibrant flora and fauna. It is a positive Earth-friendly stance connected to our environment. We use it to describe youthfulness, innocence, and naiveté. Green can be a sickly complexion or the flourishing growth of the Spring season. Green is associated with luck in the Irish shamrock. It conjures images of money and materialistic wealth and negative feelings such as envy and jealousy. 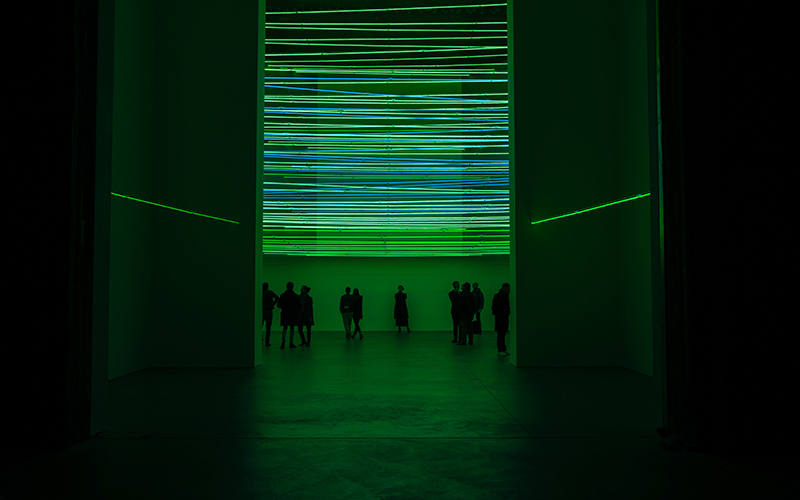 Or at its most basic form, green is simply the color located between blue and yellow on the color spectrum. What does GREEN mean to you? Show us with your art! FINE PRINT: Open to artists 18 years of age and older. Entries can be most media incorporating the theme of GREEN: collage, photography, sculpture, painting, textiles, etc. (no video). Learn more here. Announcing ViewPoint Gallery’s seventh international juried call for submissions. This is an opportunity to exhibit your work for one month at ViewPoint Gallery. The competition is open to all subject matter. 12 winning images will be selected from the digital entries. FINE PRINT: Each winning image will be exhibited for one month between June 2019 and May 2020 with the month to be chosen by ViewPoint Gallery. Winning entrants agree to give ViewPoint Gallery permission to print and exhibit the work and to use the submitted images in publicity and media promotion. Learn more here. FINE PRINT: All subject matter is welcome in relation to the theme of “Home.” Learn more here. The Dutch Art Gallery is seeking 2D paintings and drawings for a juried show. Unconventional, novel, and inventive are words that come to mind when we hear the phrase “think outside the box.” We invite you to push your boundaries and break away from the expected and mundane. FINE PRINT: This theme has a wide interpretation, but in case you need some ideas, they suggest exploring an unusual or distorted perspective. Employ symbolism in a new way. Use optical illusions or a unique application of paint. Learn more here. The Howard County Arts Council is seeking artists to take part in the juried portion of Paint It! 2019, an annual event that brings artists and spectators interested in the plein air tradition to Historic Ellicott City. Paint It! culminates in an exhibit of juried artists’ work in our gallery, which features an opening reception and juror’s award presentation. FINE PRINT: A popular feature of the event is the Quick Draw competition – open to both juried and Open Paint artists – in which artists take a plein air painting from start to finish in just two hours. A pop-up exhibit and sale of work completed during the Quick Draw is fun for spectators and artists alike. Learn more here. Threaded is an in-depth look at contemporary craft, textile art and fiber art as unique fine art or installation art. Each entry must include fiber somewhere within the piece. FINE PRINT: Eligible media include, but are not limited to: embroidery, weaving, crochet, macrame, tapestry, quilting, heliographic (sun printing), unique fabric dye/printing, fabric collage, installation, felt designs / sculpture, fiber / textile wall hangings or sculpture, and any mixed media 2D and 3D design where fiber / textile is incorporated. There is a $10 (USD) non-refundable/non-transferable fee, for up to six (6) images. Learn more here. “Repurposed” is a juried exhibition focused on the adaptive reuse of materials to create new art. Participating artists are asked to create an original piece of artwork that utilizes some sort of found object, or unusual recycled medium as the base for the piece. FINE PRINT: Open to artists working in any medium except performance art. There is no age restriction (under 18 year old applicants will need a parent or guardian’s consent and signature on the back of the entry form to apply). Learn more here. Target Gallery invites artists working in all visual media to submit to Habitats. In this group exhibition, Habitats will explore the relationship between humans and nature creating a dialogue on the impact that we make on the earth and our environments. FINE PRINT: A non-refundable $35 entry fee includes submission for 3 pieces of artwork—each work may include one image along with only one detail image per work. Learn more here. Formerly Artist Opportunity Monthly, all you need to do is sign up with your email and they send you thoroughly screened opportunities every month, including grants. AOM prides itself on ensuring each opportunity is worthwhile. A more comprehensive monthly list is offered at $5 a year. CuratorSpace is a project management toolkit for curators, organizers, galleries, and artists. It is designed to take the hassle out of managing exhibitions, competitions, fairs, and a whole lot more. Plus, they are a great site for finding art opportunities worldwide! Re-title is a service for professional contemporary artists searching for opportunities, such as competitions, exhibitions, residencies, etc. A site for international contemporary art, this is another great site to find opportunities around the world! There’s even a map you can click on to search opportunities regionally and world clocks at the top of their site so you can submit applications on time! We will be updating this list throughout the year, so don’t forget to check back and let us know if you have an opportunity that should be considered! Applications can be extensive, after all, organizations need to ensure their funding will be in good hands. Be prepared to present yourself in the best light by having your information and images in an organized manner—and avoiding the last minute stress of scrambling to find files. Art inventory software like Artwork Archive can help you get ready to apply for grants and opportunities without the hassle. 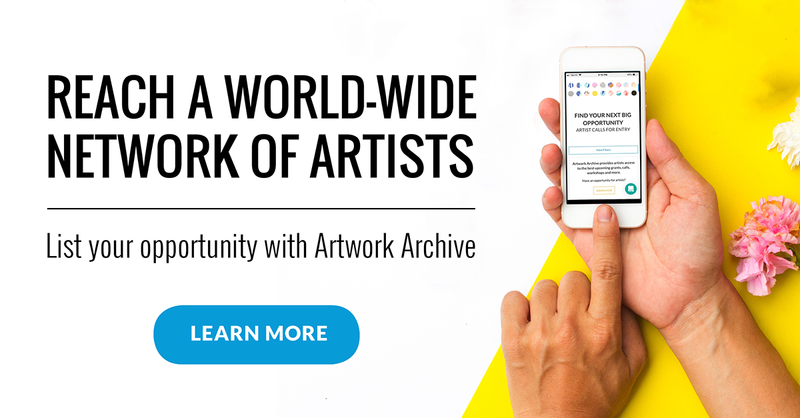 With Artwork Archive, you can manage jury-ready photos of your work and their inventory details, as well as generate professional documents like portfolio pages and inventory reports. If asked for a list of past exhibitions and competitions to validate your professional status, you can see your complete show history with the click of a button. Just think of the time you’ll save not having to remember or dig up all of this information! You know you need to brush up on your art marketing, but when do you have the time? We found 7 more amazing art business podcasts that you can listen to while you work. Artist and scholar Fahamu Pecou says there is no such thing as luck. Learn how he has rocketed to the top of the contemporary art scene by grabbing opportunities. 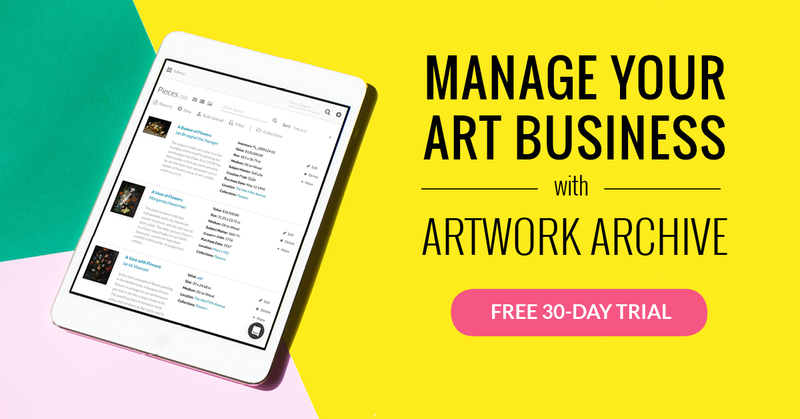 Never lose track of your artwork, never double sell a piece, and never forget to pick up your work from a gallery again.